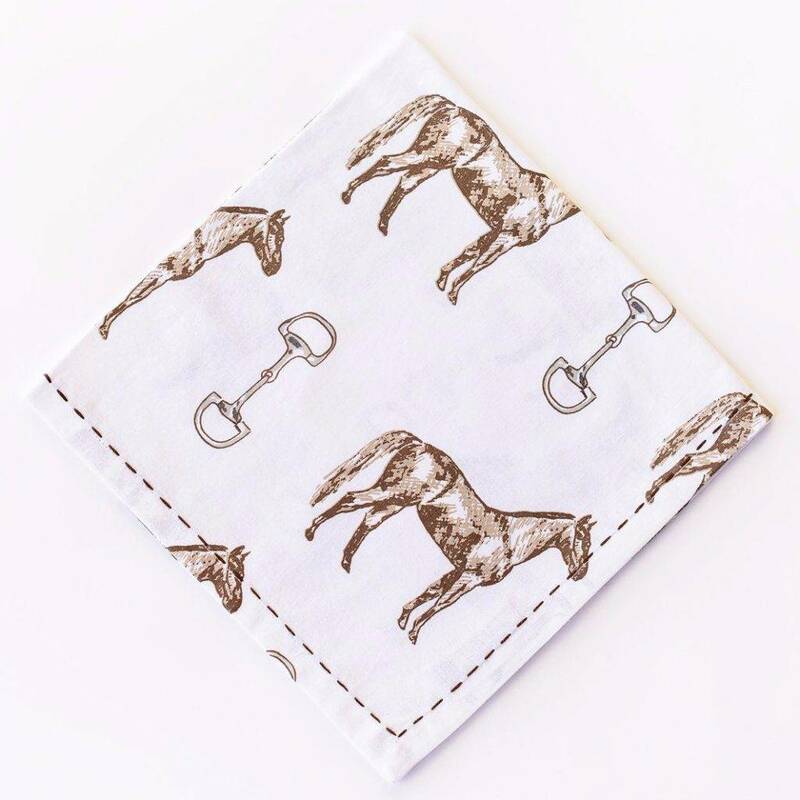 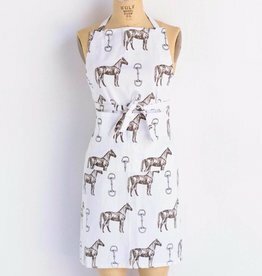 Hand-sketched horses and snaffle bits unite to create an exclusive and unique pattern on white cotton. 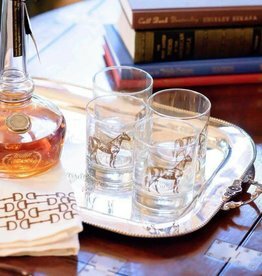 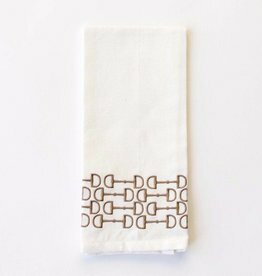 Edged with delicate brown blanket stitch, these limited-edition Horse and Snaffle Napkins provide a sophisticated foundation for equestrian entertaining. 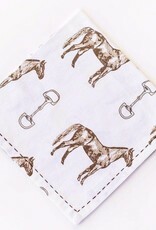 Hand-sketched horses and snaffle bits unite to create an exclusive and unique pattern on white cotton. 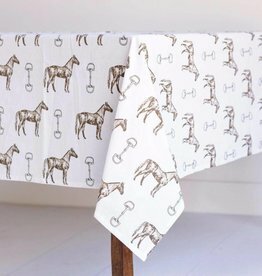 Our limited-edition Horse and Snaffle Tablecloth provides a sophisticated foundation for equestrian entertaining.